Customize these trophies with your choice of figure. Simply add the trophy to your shopping cart to customize the trophy to your liking. Price includes up to 3 lines of text. 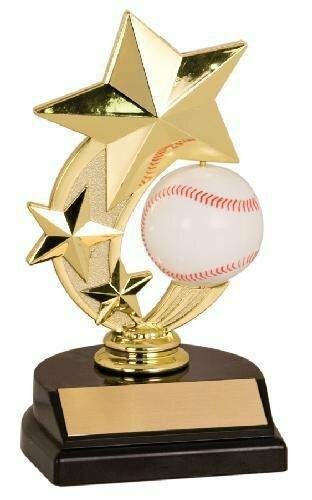 When you need a simple trophy, this is the one for you. Add to cart to choose your figure option. Price includes your personalized text, up to 3 lines. Production lead time for this trophy is 5 days. This trophy has a minimum order quantity of 5. This glass soccer ball sits on a faceted glass pedestal that is attached to a solid black marble base. 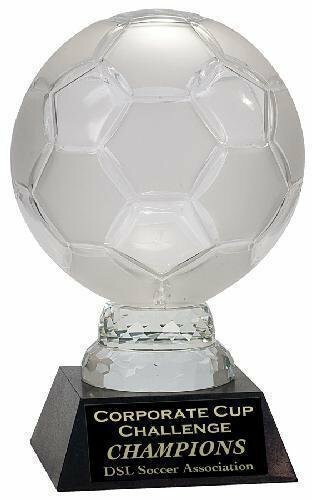 Personalize the marble base to make this the ultimate award for the star players, coaches or sponsors on your team or league.